Join us for an evening of macrame! 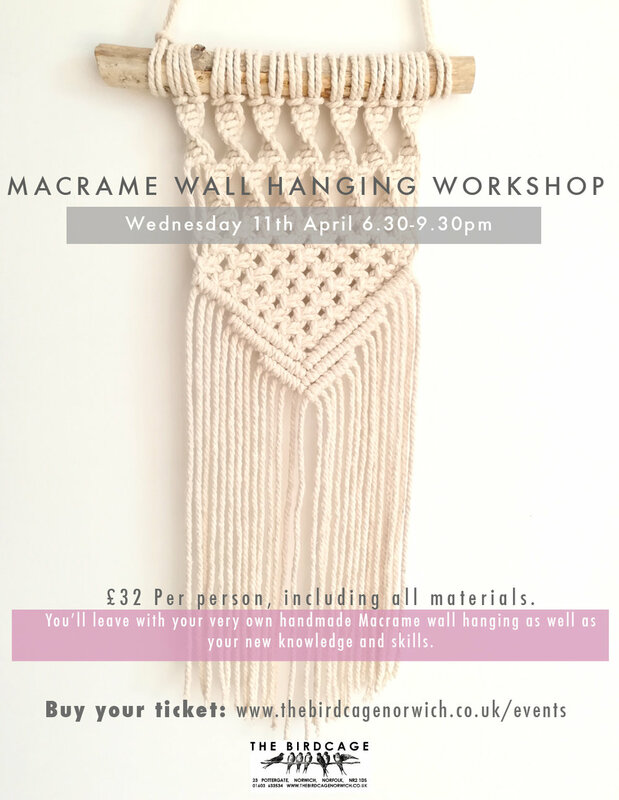 Fibre artist Jenny Collyer from Fringe and Fray will be guiding you through the process of making your own macrame wall hanging, This is a beginners class all are welcome you will learn the basics of macrame and all materials provided. When booking please state whether you would like a natural stick (as in photo) or a copper pipe, or a pine dowl for your piece to hang from.